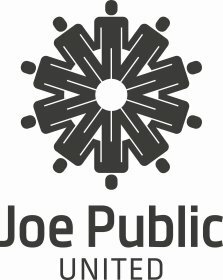 Joe Public United are set to continue its upward growth in 2016 as the group’s cross-platform agency, Ignite Joe Public, was the first to celebrate two new business gains from one of SA’s most iconic clients – SAB. The above-the-line agency also won a project with SAB, ending 2015 on an all-round high for the group. The agency was also appointed to work with Carling Black Label on a their newest beer, Carling Blue Label which launched on Tuesday, 17 November 2015 to consumers. The new brand will offer beverage fans a brand new taste experience, having been specially formulated to meet the palettes of South African trailblazers. To introduce the brand to the South African public, Ignite executed activations and on-premise promotions. “We couldn’t be more excited to be working on these new SAB brands. It’s an honour to be part of this initial phase and ideation of well-established brands within the SAB stable. To be surrounded by high calibre clients who have created an excellent product, really just makes our creative jobs a whole lot more exciting,” Pippa Capstick, Executive Creative Director, Ignite Joe Public. Ignite Joe Public was awarded this high profile piece of business on the strength of their pitch proposal. “We have put an incredible amount of heart, research and time into this brand. After two gruelling rounds of presentations it was Ignite’s strategic thinking, creative solution as well as their shared understanding of our brand’s vision that made them our agency of choice to partner with. We look forward to exciting times ahead,” said Tania Cloete, Castle Lager Marketing Manager. Adding to the successful acquisitions, Joe Public above-the-line have also recently been awarded the SAB 18+ campaign, an underage drinking awareness campaign spearheaded by SAB to drive awareness and education in an effort to curb underage alcohol consumption. “Creating an ecosystem that fosters the growth of our youth is an area that is particularly close to my heart. This campaign not only falls in line with our values of producing excellent work, it also allows us to contribute toward the growth of our country by positively influencing our future generations,” Pepe Marais, Chief Creative Officer, Joe Public. The SAB 18+ campaign launched on Friday, 13th November 2015 with a powerful television commercial and an integrated social mobilisation component that aims to change behaviour.